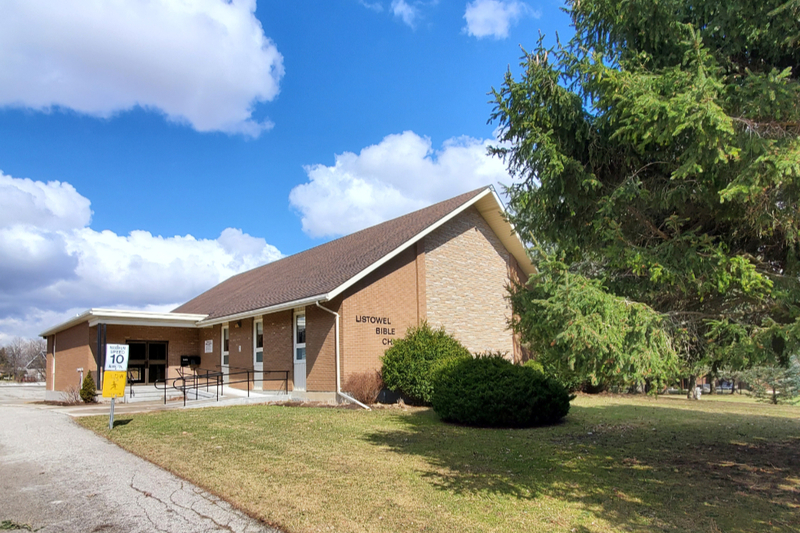 Listowel Bible Chapel is a non-denominal, evangelical, Bible believing church located in Listowel Ontario. A local body of believers began meeting in Listowel in the late 1970s, and built the chapel in 1980. There is no ‘clergy’ at the Listowel Bible Chapel as we believe in the priesthood of all believers. Although there is no ‘clergy’, there is a plurality of Elders to over-see and guide the assembly. Our meeting together is based upon the simple pattern found in the New Testament. *Please note as of September 6th 2015 the Evening Service will start at 7:00 PM.